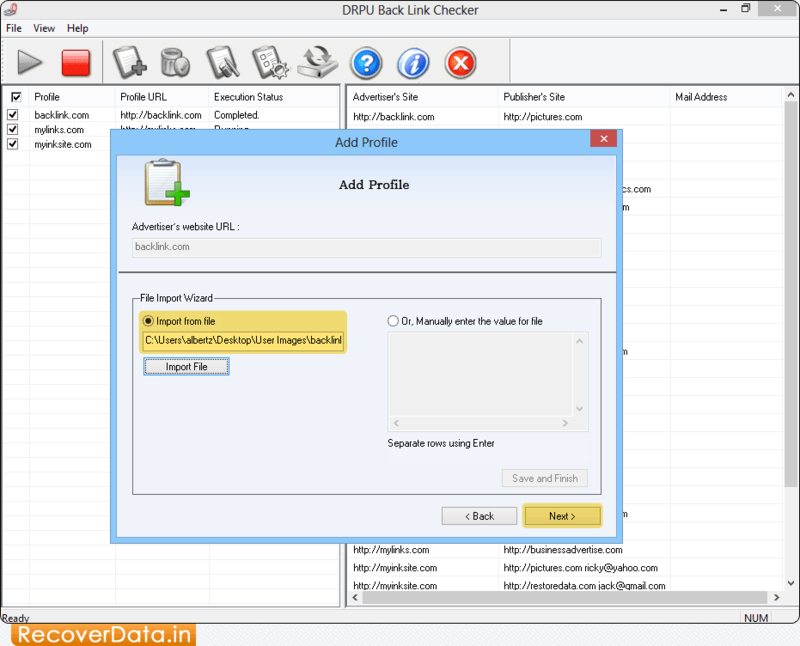 Add Advertiser's website URL and choose any one option among Text File, CSV File and Excel File. 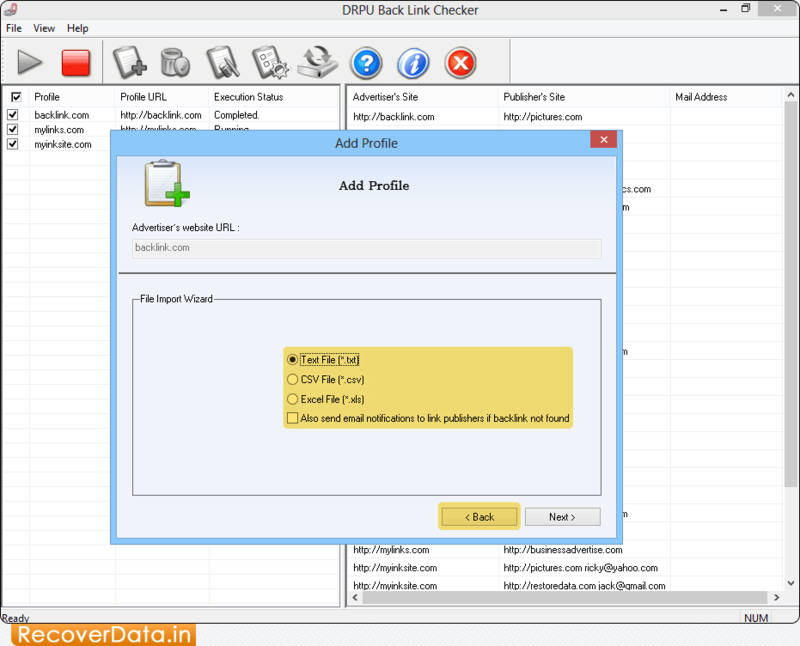 Import profile from file then enter the value for file manually. Click 'Next' button to continue. Here, wizard shows the list of "Publisher Site's". Now click 'Save and Finish' button. 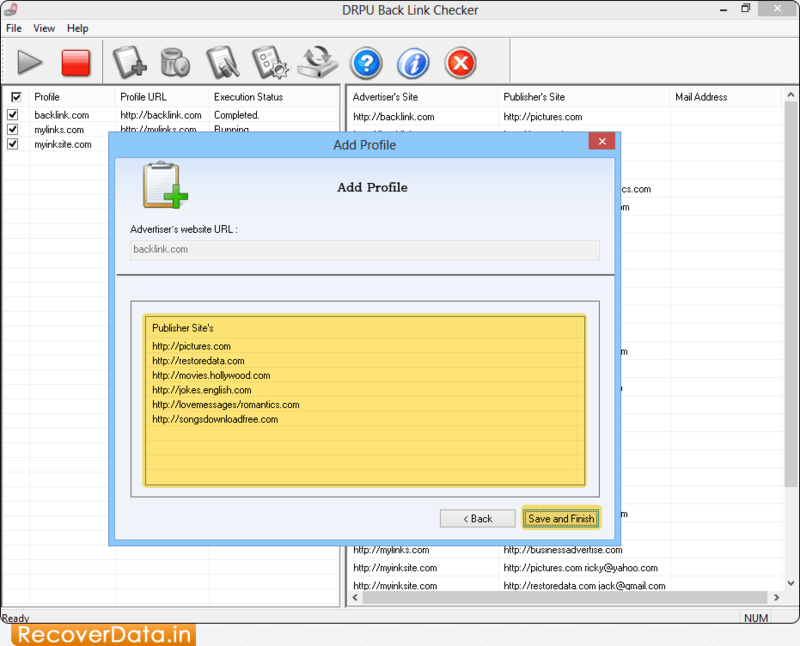 In right panel, you can view the list of Publisher's Site with all details.